December 27 is one of those days — many of us are off work, but it’s after Boxing Day, and it’s not yet on to New Year’s Eve or Day. We should have celebrated, maybe. It’s the end of the year, and yet it is also a day of great beginnings. We should celebrate December 27 as a day of portent: A good embarkation, and a good, safe end to a nation-encouraging trip to almost touch the Moon. 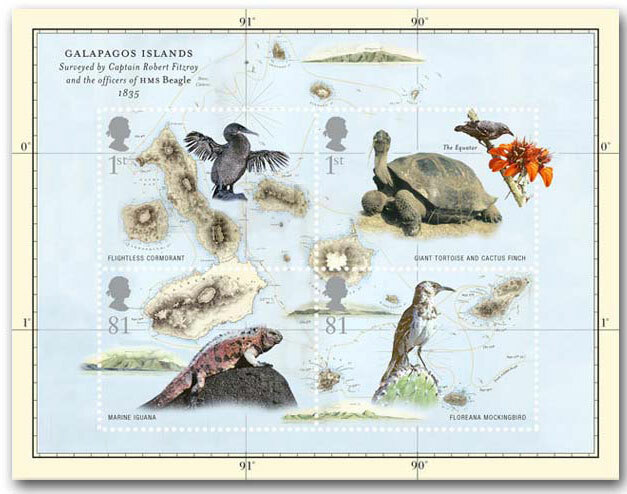 On December 27, 1831, Charles Darwin and H.M.S. Beagle set sail on an around-the-world voyage of discovery that would change all of science, and especially biology, forever. Darwin never fully overcame his seasickness, but he fought it well enough to become the single greatest collector of specimens in history for the British Museum and British science, a distinction that won him election to science societies even before his return from the trip — and cemented his life in science, instead of in the church. Darwin’s discoveries would have revolutionized biology in any case. But, in analyzing what he had found, a few years later and with the aid of experts at the British Museum, Darwin realized he had disproved much of William Paley’s hypotheses about life and its diversity, and that another, more basic explanation was possible. 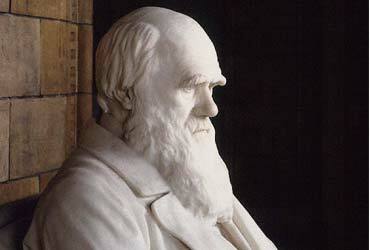 This led to his discovery of evolution by natural and sexual selection. On December 27, 1968, Apollo 8 splashed down after a successful and heartening trip to orbit the Moon. The three crewmen, Commander Frank Borman, James A. Lovell, Jr., and William A. Anders, had orbited the Moon, a very important milestone in the methodological race to put humans on the Moon (which would be accomplished seven months later). 1968 was a terrible year for the U.S., with the North Korean capture of the U.S.S. Pueblo, assassinations of Rev. Martin Luther King, Jr., and Sen. Robert F. Kennedy during the presidential campaign, riots in dozens of American cities, nasty political conventions with riots at the Democratic Convention in Chicago, a contentious and bitter election making sore the nation’s divide over Vietnam policy, and other problems. On Christmas Eve, Borman, Lovell and Anders broadcast from orbit around the Moon, a triumphant and touching moment for the Apollo Program and Americans around the world. Their safe return on December 27 raised hopes for a better year in 1969. In 1968, NASA engineers were scrambling to meet President Kennedy’s challenge to land a man on the moon by decade’s end. Because delays with the lunar module were threatening to slow the Apollo program, NASA chose to change mission plans and send the crew of Apollo 8 all the way to the moon without a lunar module. 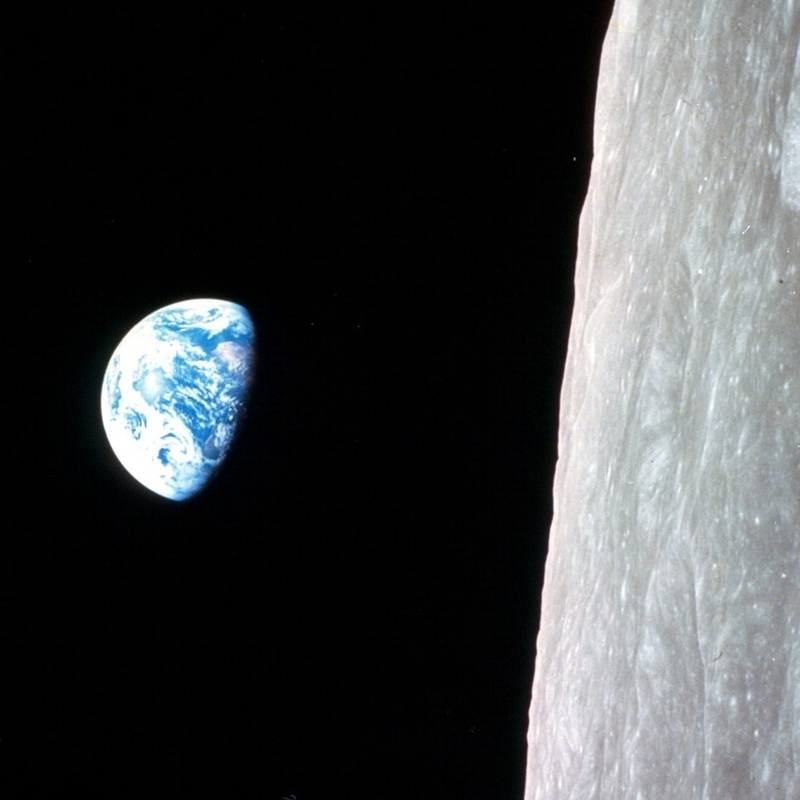 Exactly 43  years ago, the three astronauts of Apollo 8 became the first humans to orbit another celestial object. As they came around the dark side of the Moon for the third time, Frank Borman, the commander, finally turned their capsule around. And then they saw the Earth. Borman: Oh my God! Look at that picture over there! Here’s the Earth coming up. Wow, is that pretty. Anders: Hey, don’t take that, it’s not scheduled. Borman: (laughing) You got a color film, Jim? One of the resulting photos taken by Anders on a Hasselblad camera became one of the world’s most iconic images. I just happened to have one with color film in it and a long lens. All I did was to keep snapping… It’s not a very good photo as photos go, but it’s a special one. It was the first statement of our planet Earth and it was particularly impressive because it’s contrasted against this startling horizon . . . After all the training and studying we’d done as pilots and engineers to get to the moon safely and get back, [and] as human beings to explore moon orbit, what we really discovered was the planet Earth. We shouldn’t pass April 19 — a day marked by significant historic events through the past couple hundred years — without remembering that it is also the anniversary of the death of Darwin. Immortality? Regardless Darwin’s religious beliefs (I’ll argue he remained Christian, thank you, if you wish to argue), he achieved immortality solely on the strength of his brilliant work in science. Of course he’s best known for being the first to figure out that natural and sexual selection worked as tools to sculpt species over time, a theory whose announcement he shared with Alfred Russel Wallace, who independently arrived at almost exactly the same theory but without the deep evidentiary backup Darwin had amassed. Creation of methodological science: In all of this work, Darwin explained his processes for designing experiments, and controls, and made almost as many notes on how to observe things, as the observations themselves. Probably more than any other single man, Darwin invented and demonstrated the use of a series of processes we now call “the scientific method.” He invented modern science. Any of those accomplishments would have been a career-capping work for a scientist. 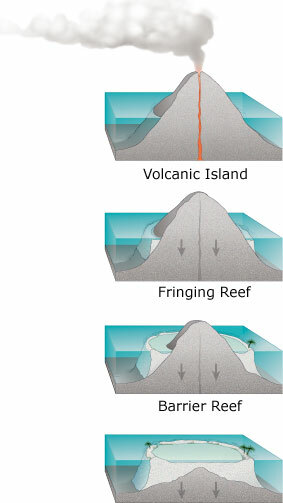 Darwin’s mountains of work still form foundations of geology and biology, and are touchstones for genetics. Born within a few hours of Abraham Lincoln on February 12, 1809, Darwin survived 17 years longer — 17 extremely productive years. 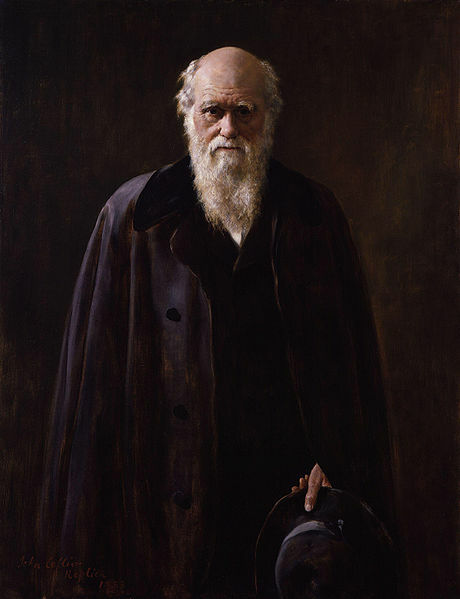 Ill through much of his life with mystery ailments, perhaps Chaga’s Disease, or perhaps some other odd parasite or virus he picked up on his world travels, Darwin succumbed to heart disease on April 19, 1882. Charles Darwin’s work is misunderstood and misrepresented most often on issues that pertain to human morals and the way humans treat one another as humans. Among the most often misunderstood and almost-always misquoted texts are his thoughts on the rise of morality among humans, from Chapter 5 of his work on human evolution, Descent of Man. I had thought I posted this before, but discovered it was here in “page” format, which keeps it out of many indexing engines. 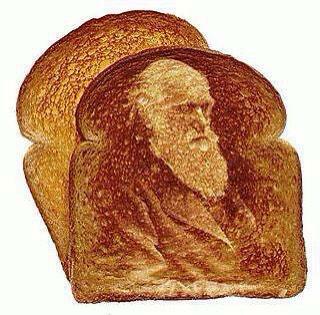 I’m posting it again today because, shortly before Darwin Sunday 2015 (February 8), I expect creationists will release a flurry of posts, Tweets, Facebook rantings and other notes, claiming Darwin didn’t write about morality, or claiming Darwin said something that is not really here. 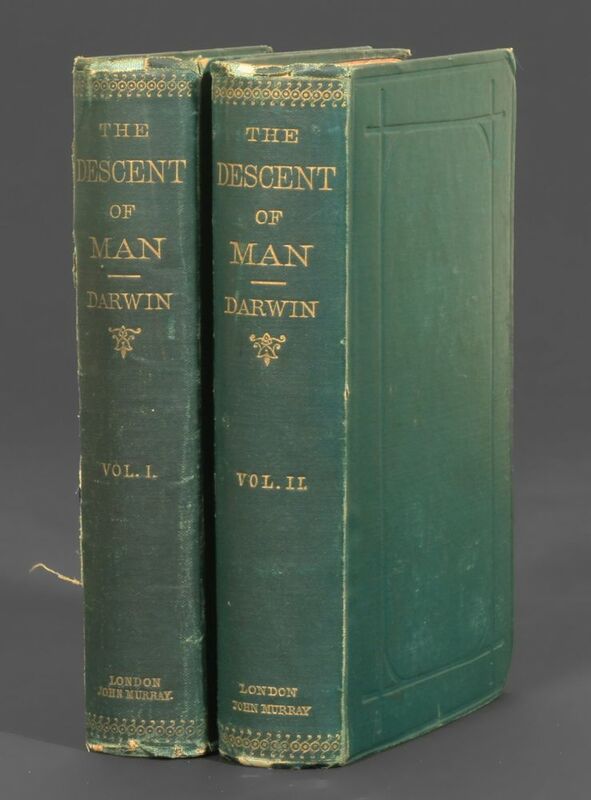 The two volumes of the first edition of Charles Darwin’s Descent of Man. Photo from Manhattan Rare Books. ON THE DEVELOPMENT OF THE INTELLECTUAL AND MORAL FACULTIES DURING PRIMEVAL AND CIVILISED TIMES. Advancement of the intellectual powers through natural selection– Importance of imitation–Social and moral faculties–Their development within the limits of the same tribe–Natural selection as affecting civilised nations–Evidence that civilised nations were once barbarous. The subjects to be discussed in this chapter are of the highest interest, but are treated by me in an imperfect and fragmentary manner. Mr. Wallace, in an admirable paper before referred to (1. Anthropological Review, May 1864, p. clviii. ), argues that man, after he had partially acquired those intellectual and moral faculties which distinguish him from the lower animals, would have been but little liable to bodily modifications through natural selection or any other means. For man is enabled through his mental faculties “to keep with an unchanged body in harmony with the changing universe.” He has great power of adapting his habits to new conditions of life. He invents weapons, tools, and various stratagems to procure food and to defend himself. When he migrates into a colder climate he uses clothes, builds sheds, and makes fires; and by the aid of fire cooks food otherwise indigestible. He aids his fellow-men in many ways, and anticipates future events. Even at a remote period he practised some division of labour. The lower animals, on the other hand, must have their bodily structure modified in order to survive under greatly changed conditions. They must be rendered stronger, or acquire more effective teeth or claws, for defence against new enemies; or they must be reduced in size, so as to escape detection and danger. When they migrate into a colder climate, they must become clothed with thicker fur, or have their constitutions altered. If they fail to be thus modified, they will cease to exist. The case, however, is widely different, as Mr. Wallace has with justice insisted, in relation to the intellectual and moral faculties of man. These faculties are variable; and we have every reason to believe that the variations tend to be inherited. Therefore, if they were formerly of high importance to primeval man and to his ape-like progenitors, they would have been perfected or advanced through natural selection. Of the high importance of the intellectual faculties there can be no doubt, for man mainly owes to them his predominant position in the world. We can see, that in the rudest state of society, the individuals who were the most sagacious, who invented and used the best weapons or traps, and who were best able to defend themselves, would rear the greatest number of offspring. The tribes, which included the largest number of men thus endowed, would increase in number and supplant other tribes. Numbers depend primarily on the means of subsistence, and this depends partly on the physical nature of the country, but in a much higher degree on the arts which are there practised. As a tribe increases and is victorious, it is often still further increased by the absorption of other tribes. (2. After a time the members or tribes which are absorbed into another tribe assume, as Sir Henry Maine remarks (‘Ancient Law,’ 1861, p. 131), that they are the co-descendants of the same ancestors.) The stature and strength of the men of a tribe are likewise of some importance for its success, and these depend in part on the nature and amount of the food which can be obtained. In Europe the men of the Bronze period were supplanted by a race more powerful, and, judging from their sword-handles, with larger hands (3. Morlot, ‘Soc. Vaud. Sc. Nat.’ 1860, p. 294. ); but their success was probably still more due to their superiority in the arts. All that we know about savages, or may infer from their traditions and from old monuments, the history of which is quite forgotten by the present inhabitants, shew that from the remotest times successful tribes have supplanted other tribes. Relics of extinct or forgotten tribes have been discovered throughout the civilised regions of the earth, on the wild plains of America, and on the isolated islands in the Pacific Ocean. At the present day civilised nations are everywhere supplanting barbarous nations, excepting where the climate opposes a deadly barrier; and they succeed mainly, though not exclusively, through their arts, which are the products of the intellect. It is, therefore, highly probable that with mankind the intellectual faculties have been mainly and gradually perfected through natural selection; and this conclusion is sufficient for our purpose. Undoubtedly it would be interesting to trace the development of each separate faculty from the state in which it exists in the lower animals to that in which it exists in man; but neither my ability nor knowledge permits the attempt. It deserves notice that, as soon as the progenitors of man became social (and this probably occurred at a very early period), the principle of imitation, and reason, and experience would have increased, and much modified the intellectual powers in a way, of which we see only traces in the lower animals. Apes are much given to imitation, as are the lowest savages; and the simple fact previously referred to, that after a time no animal can be caught in the same place by the same sort of trap, shews that animals learn by experience, and imitate the caution of others. Now, if some one man in a tribe, more sagacious than the others, invented a new snare or weapon, or other means of attack or defence, the plainest self- interest, without the assistance of much reasoning power, would prompt the other members to imitate him; and all would thus profit. The habitual practice of each new art must likewise in some slight degree strengthen the intellect. If the new invention were an important one, the tribe would increase in number, spread, and supplant other tribes. In a tribe thus rendered more numerous there would always be a rather greater chance of the birth of other superior and inventive members. If such men left children to inherit their mental superiority, the chance of the birth of still more ingenious members would be somewhat better, and in a very small tribe decidedly better. Even if they left no children, the tribe would still include their blood-relations; and it has been ascertained by agriculturists (4. I have given instances in my Variation of Animals under Domestication, vol. ii. p. 196.) that by preserving and breeding from the family of an animal, which when slaughtered was found to be valuable, the desired character has been obtained. But it may be asked, how within the limits of the same tribe did a large number of members first become endowed with these social and moral qualities, and how was the standard of excellence raised? It is extremely doubtful whether the offspring of the more sympathetic and benevolent parents, or of those who were the most faithful to their comrades, would be reared in greater numbers than the children of selfish and treacherous parents belonging to the same tribe. He who was ready to sacrifice his life, as many a savage has been, rather than betray his comrades, would often leave no offspring to inherit his noble nature. The bravest men, who were always willing to come to the front in war, and who freely risked their lives for others, would on an average perish in larger numbers than other men. Therefore, it hardly seems probable, that the number of men gifted with such virtues, or that the standard of their excellence, could be increased through natural selection, that is, by the survival of the fittest; for we are not here speaking of one tribe being victorious over another. Although the circumstances, leading to an increase in the number of those thus endowed within the same tribe, are too complex to be clearly followed out, we can trace some of the probable steps. In the first place, as the reasoning powers and foresight of the members became improved, each man would soon learn that if he aided his fellow-men, he would commonly receive aid in return. From this low motive he might acquire the habit of aiding his fellows; and the habit of performing benevolent actions certainly strengthens the feeling of sympathy which gives the first impulse to benevolent actions. Habits, moreover, followed during many generations probably tend to be inherited. But another and much more powerful stimulus to the development of the social virtues, is afforded by the praise and the blame of our fellow-men. To the instinct of sympathy, as we have already seen, it is primarily due, that we habitually bestow both praise and blame on others, whilst we love the former and dread the latter when applied to ourselves; and this instinct no doubt was originally acquired, like all the other social instincts, through natural selection. At how early a period the progenitors of man in the course of their development, became capable of feeling and being impelled by, the praise or blame of their fellow- creatures, we cannot of course say. But it appears that even dogs appreciate encouragement, praise, and blame. The rudest savages feel the sentiment of glory, as they clearly shew by preserving the trophies of their prowess, by their habit of excessive boasting, and even by the extreme care which they take of their personal appearance and decorations; for unless they regarded the opinion of their comrades, such habits would be senseless. They certainly feel shame at the breach of some of their lesser rules, and apparently remorse, as shewn by the case of the Australian who grew thin and could not rest from having delayed to murder some other woman, so as to propitiate his dead wife’s spirit. Though I have not met with any other recorded case, it is scarcely credible that a savage, who will sacrifice his life rather than betray his tribe, or one who will deliver himself up as a prisoner rather than break his parole (6. Mr. Wallace gives cases in his ‘Contributions to the Theory of Natural Selection,’ 1870, p. 354. 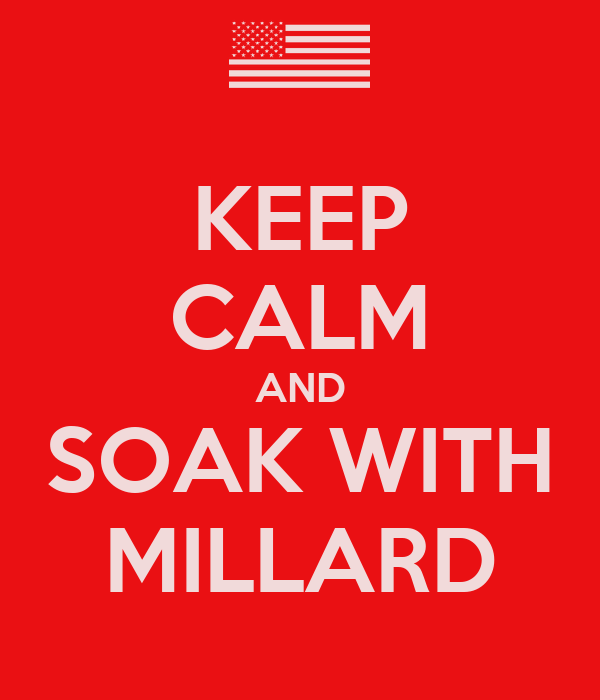 ), would not feel remorse in his inmost soul, if he had failed in a duty, which he held sacred. With increased experience and reason, man perceives the more remote consequences of his actions, and the self-regarding virtues, such as temperance, chastity, etc., which during early times are, as we have before seen, utterly disregarded, come to be highly esteemed or even held sacred. I need not, however, repeat what I have said on this head in the fourth chapter. Ultimately our moral sense or conscience becomes a highly complex sentiment–originating in the social instincts, largely guided by the approbation of our fellow-men, ruled by reason, self-interest, and in later times by deep religious feelings, and confirmed by instruction and habit. It must not be forgotten that although a high standard of morality gives but a slight or no advantage to each individual man and his children over the other men of the same tribe, yet that an increase in the number of well-endowed men and an advancement in the standard of morality will certainly give an immense advantage to one tribe over another. A tribe including many members who, from possessing in a high degree the spirit of patriotism, fidelity, obedience, courage, and sympathy, were always ready to aid one another, and to sacrifice themselves for the common good, would be victorious over most other tribes; and this would be natural selection. At all times throughout the world tribes have supplanted other tribes; and as morality is one important element in their success, the standard of morality and the number of well-endowed men will thus everywhere tend to rise and increase. It is, however, very difficult to form any judgment why one particular tribe and not another has been successful and has risen in the scale of civilisation. Many savages are in the same condition as when first discovered several centuries ago. As Mr. Bagehot has remarked, we are apt to look at progress as normal in human society; but history refutes this. The ancients did not even entertain the idea, nor do the Oriental nations at the present day. According to another high authority, Sir Henry Maine (7. ‘Ancient Law,’ 1861, p. 22. For Mr. Bagehot’s remarks, ‘Fortnightly Review,’ April 1, 1868, p. 452. ), “the greatest part of mankind has never shewn a particle of desire that its civil institutions should be improved.” Progress seems to depend on many concurrent favourable conditions, far too complex to be followed out. But it has often been remarked, that a cool climate, from leading to industry and to the various arts, has been highly favourable thereto. The Esquimaux, pressed by hard necessity, have succeeded in many ingenious inventions, but their climate has been too severe for continued progress. Nomadic habits, whether over wide plains, or through the dense forests of the tropics, or along the shores of the sea, have in every case been highly detrimental. Whilst observing the barbarous inhabitants of Tierra del Fuego, it struck me that the possession of some property, a fixed abode, and the union of many families under a chief, were the indispensable requisites for civilisation. Such habits almost necessitate the cultivation of the ground; and the first steps in cultivation would probably result, as I have elsewhere shewn (8. ‘The Variation of Animals and Plants under Domestication,’ vol. i. p. 309. ), from some such accident as the seeds of a fruit-tree falling on a heap of refuse, and producing an unusually fine variety. The problem, however, of the first advance of savages towards civilisation is at present much too difficult to be solved. NATURAL SELECTION AS AFFECTING CIVILISED NATIONS. I have hitherto only considered the advancement of man from a semi-human condition to that of the modern savage. But some remarks on the action of natural selection on civilised nations may be worth adding. This subject has been ably discussed by Mr. W.R. Greg (9. ‘Fraser’s Magazine,’ Sept. 1868, p. 353. This article seems to have struck many persons, and has given rise to two remarkable essays and a rejoinder in the ‘Spectator,’ Oct. 3rd and 17th, 1868. It has also been discussed in the ‘Quarterly Journal of Science,’ 1869, p. 152, and by Mr. Lawson Tait in the ‘Dublin Quarterly Journal of Medical Science,’ Feb. 1869, and by Mr. E. Ray Lankester in his ‘Comparative Longevity,’ 1870, p. 128. Similar views appeared previously in the ‘Australasian,’ July 13, 1867. I have borrowed ideas from several of these writers. ), and previously by Mr. Wallace and Mr. Galton. (10. For Mr. Wallace, see ‘Anthropological Review,’ as before cited. Mr. Galton in ‘Macmillan’s Magazine,’ Aug. 1865, p. 318; also his great work, ‘Hereditary Genius,’ 1870.) Most of my remarks are taken from these three authors. With savages, the weak in body or mind are soon eliminated; and those that survive commonly exhibit a vigorous state of health. We civilised men, on the other hand, do our utmost to check the process of elimination; we build asylums for the imbecile, the maimed, and the sick; we institute poor-laws; and our medical men exert their utmost skill to save the life of every one to the last moment. There is reason to believe that vaccination has preserved thousands, who from a weak constitution would formerly have succumbed to small-pox. Thus the weak members of civilised societies propagate their kind. No one who has attended to the breeding of domestic animals will doubt that this must be highly injurious to the race of man. It is surprising how soon a want of care, or care wrongly directed, leads to the degeneration of a domestic race; but excepting in the case of man himself, hardly any one is so ignorant as to allow his worst animals to breed. The aid which we feel impelled to give to the helpless is mainly an incidental result of the instinct of sympathy, which was originally acquired as part of the social instincts, but subsequently rendered, in the manner previously indicated, more tender and more widely diffused. Nor could we check our sympathy, even at the urging of hard reason, without deterioration in the noblest part of our nature. The surgeon may harden himself whilst performing an operation, for he knows that he is acting for the good of his patient; but if we were intentionally to neglect the weak and helpless, it could only be for a contingent benefit, with an overwhelming present evil. We must therefore bear the undoubtedly bad effects of the weak surviving and propagating their kind; but there appears to be at least one check in steady action, namely that the weaker and inferior members of society do not marry so freely as the sound; and this check might be indefinitely increased by the weak in body or mind refraining from marriage, though this is more to be hoped for than expected. Man accumulates property and bequeaths it to his children, so that the children of the rich have an advantage over the poor in the race for success, independently of bodily or mental superiority. On the other hand, the children of parents who are short-lived, and are therefore on an average deficient in health and vigour, come into their property sooner than other children, and will be likely to marry earlier, and leave a larger number of offspring to inherit their inferior constitutions. But the inheritance of property by itself is very far from an evil; for without the accumulation of capital the arts could not progress; and it is chiefly through their power that the civilised races have extended, and are now everywhere extending their range, so as to take the place of the lower races. Nor does the moderate accumulation of wealth interfere with the process of selection. When a poor man becomes moderately rich, his children enter trades or professions in which there is struggle enough, so that the able in body and mind succeed best. The presence of a body of well-instructed men, who have not to labour for their daily bread, is important to a degree which cannot be over-estimated; as all high intellectual work is carried on by them, and on such work, material progress of all kinds mainly depends, not to mention other and higher advantages. No doubt wealth when very great tends to convert men into useless drones, but their number is never large; and some degree of elimination here occurs, for we daily see rich men, who happen to be fools or profligate, squandering away their wealth. Primogeniture with entailed estates is a more direct evil, though it may formerly have been a great advantage by the creation of a dominant class, and any government is better than none. Most eldest sons, though they may be weak in body or mind, marry, whilst the younger sons, however superior in these respects, do not so generally marry. Nor can worthless eldest sons with entailed estates squander their wealth. But here, as elsewhere, the relations of civilised life are so complex that some compensatory checks intervene. The men who are rich through primogeniture are able to select generation after generation the more beautiful and charming women; and these must generally be healthy in body and active in mind. The evil consequences, such as they may be, of the continued preservation of the same line of descent, without any selection, are checked by men of rank always wishing to increase their wealth and power; and this they effect by marrying heiresses. But the daughters of parents who have produced single children, are themselves, as Mr. Galton (12. ‘Hereditary Genius,’ 1870, pp. 132-140.) has shewn, apt to be sterile; and thus noble families are continually cut off in the direct line, and their wealth flows into some side channel; but unfortunately this channel is not determined by superiority of any kind. We will now look to the intellectual faculties. If in each grade of society the members were divided into two equal bodies, the one including the intellectually superior and the other the inferior, there can be little doubt that the former would succeed best in all occupations, and rear a greater number of children. Even in the lowest walks of life, skill and ability must be of some advantage; though in many occupations, owing to the great division of labour, a very small one. Hence in civilised nations there will be some tendency to an increase both in the number and in the standard of the intellectually able. But I do not wish to assert that this tendency may not be more than counterbalanced in other ways, as by the multiplication of the reckless and improvident; but even to such as these, ability must be some advantage. It has often been objected to views like the foregoing, that the most eminent men who have ever lived have left no offspring to inherit their great intellect. Mr. Galton says, “I regret I am unable to solve the simple question whether, and how far, men and women who are prodigies of genius are infertile. I have, however, shewn that men of eminence are by no means so.” (15. ‘Hereditary Genius,’ 1870, p. 330.) Great lawgivers, the founders of beneficent religions, great philosophers and discoverers in science, aid the progress of mankind in a far higher degree by their works than by leaving a numerous progeny. In the case of corporeal structures, it is the selection of the slightly better-endowed and the elimination of the slightly less well-endowed individuals, and not the preservation of strongly-marked and rare anomalies, that leads to the advancement of a species. (16. 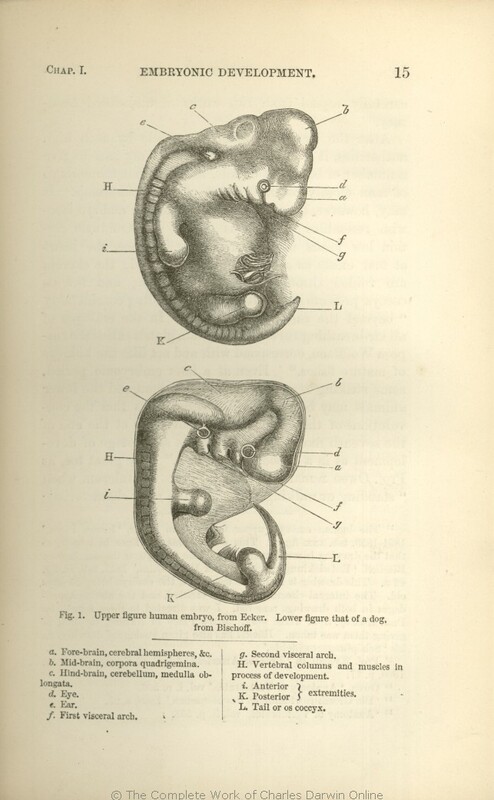 ‘Origin of Species’ (fifth edition, 1869), p. 104.) So it will be with the intellectual faculties, since the somewhat abler men in each grade of society succeed rather better than the less able, and consequently increase in number, if not otherwise prevented. When in any nation the standard of intellect and the number of intellectual men have increased, we may expect from the law of the deviation from an average, that prodigies of genius will, as shewn by Mr. Galton, appear somewhat more frequently than before. In regard to the moral qualities, some elimination of the worst dispositions is always in progress even in the most civilised nations. Malefactors are executed, or imprisoned for long periods, so that they cannot freely transmit their bad qualities. Melancholic and insane persons are confined, or commit suicide. Violent and quarrelsome men often come to a bloody end. The restless who will not follow any steady occupation–and this relic of barbarism is a great check to civilisation (17. ‘Hereditary Genius,’ 1870, p. 347. )–emigrate to newly-settled countries; where they prove useful pioneers. Intemperance is so highly destructive, that the expectation of life of the intemperate, at the age of thirty for instance, is only 13.8 years; whilst for the rural labourers of England at the same age it is 40.59 years. (18. E. Ray Lankester, ‘Comparative Longevity,’ 1870, p. 115. The table of the intemperate is from Neison’s ‘Vital Statistics.’ In regard to profligacy, see Dr. Farr, ‘Influence of Marriage on Mortality,’ ‘Nat. Assoc. for the Promotion of Social Science,’ 1858.) Profligate women bear few children, and profligate men rarely marry; both suffer from disease. 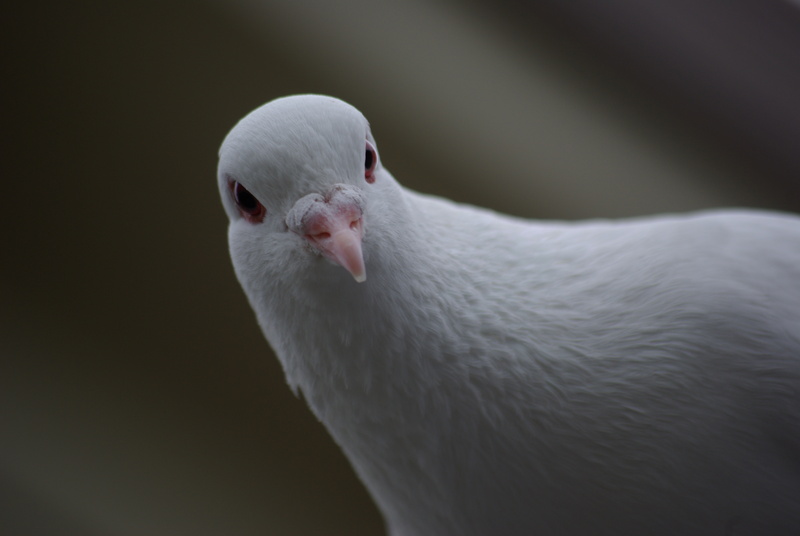 In the breeding of domestic animals, the elimination of those individuals, though few in number, which are in any marked manner inferior, is by no means an unimportant element towards success. This especially holds good with injurious characters which tend to reappear through reversion, such as blackness in sheep; and with mankind some of the worst dispositions, which occasionally without any assignable cause make their appearance in families, may perhaps be reversions to a savage state, from which we are not removed by very many generations. This view seems indeed recognised in the common expression that such men are the black sheep of the family. With civilised nations, as far as an advanced standard of morality, and an increased number of fairly good men are concerned, natural selection apparently effects but little; though the fundamental social instincts were originally thus gained. But I have already said enough, whilst treating of the lower races, on the causes which lead to the advance of morality, namely, the approbation of our fellow-men–the strengthening of our sympathies by habit–example and imitation–reason–experience, and even self-interest–instruction during youth, and religious feelings. There are, however, some checks to this downward tendency. We have seen that the intemperate suffer from a high rate of mortality, and the extremely profligate leave few offspring. The poorest classes crowd into towns, and it has been proved by Dr. Stark from the statistics of ten years in Scotland (21. ‘Tenth Annual Report of Births, Deaths, etc., in Scotland,’ 1867, p. xxix. ), that at all ages the death-rate is higher in towns than in rural districts, “and during the first five years of life the town death-rate is almost exactly double that of the rural districts.” As these returns include both the rich and the poor, no doubt more than twice the number of births would be requisite to keep up the number of the very poor inhabitants in the towns, relatively to those in the country. With women, marriage at too early an age is highly injurious; for it has been found in France that, “Twice as many wives under twenty die in the year, as died out of the same number of the unmarried.” The mortality, also, of husbands under twenty is “excessively high” (22. These quotations are taken from our highest authority on such questions, namely, Dr. Farr, in his paper ‘On the Influence of Marriage on the Mortality of the French People,’ read before the Nat. Assoc. for the Promotion of Social Science, 1858. ), but what the cause of this may be, seems doubtful. Lastly, if the men who prudently delay marrying until they can bring up their families in comfort, were to select, as they often do, women in the prime of life, the rate of increase in the better class would be only slightly lessened. It was established from an enormous body of statistics, taken during 1853, that the unmarried men throughout France, between the ages of twenty and eighty, die in a much larger proportion than the married: for instance, out of every 1000 unmarried men, between the ages of twenty and thirty, 11.3 annually died, whilst of the married, only 6.5 died. (23. Dr. Farr, ibid. The quotations given below are extracted from the same striking paper.) A similar law was proved to hold good, during the years 1863 and 1864, with the entire population above the age of twenty in Scotland: for instance, out of every 1000 unmarried men, between the ages of twenty and thirty, 14.97 annually died, whilst of the married only 7.24 died, that is less than half. (24. I have taken the mean of the quinquennial means, given in ‘The Tenth Annual Report of Births, Deaths, etc., in Scotland,’ 1867. The quotation from Dr. Stark is copied from an article in the ‘Daily News,’ Oct. 17, 1868, which Dr. Farr considers very carefully written.) Dr. Stark remarks on this, “Bachelorhood is more destructive to life than the most unwholesome trades, or than residence in an unwholesome house or district where there has never been the most distant attempt at sanitary improvement.” He considers that the lessened mortality is the direct result of “marriage, and the more regular domestic habits which attend that state.” He admits, however, that the intemperate, profligate, and criminal classes, whose duration of life is low, do not commonly marry; and it must likewise be admitted that men with a weak constitution, ill health, or any great infirmity in body or mind, will often not wish to marry, or will be rejected. Dr. Stark seems to have come to the conclusion that marriage in itself is a main cause of prolonged life, from finding that aged married men still have a considerable advantage in this respect over the unmarried of the same advanced age; but every one must have known instances of men, who with weak health during youth did not marry, and yet have survived to old age, though remaining weak, and therefore always with a lessened chance of life or of marrying. There is another remarkable circumstance which seems to support Dr. Stark’s conclusion, namely, that widows and widowers in France suffer in comparison with the married a very heavy rate of mortality; but Dr. Farr attributes this to the poverty and evil habits consequent on the disruption of the family, and to grief. On the whole we may conclude with Dr. Farr that the lesser mortality of married than of unmarried men, which seems to be a general law, “is mainly due to the constant elimination of imperfect types, and to the skilful selection of the finest individuals out of each successive generation;” the selection relating only to the marriage state, and acting on all corporeal, intellectual, and moral qualities. (25. Dr. Duncan remarks (‘Fecundity, Fertility, etc.’ 1871, p. 334) on this subject: “At every age the healthy and beautiful go over from the unmarried side to the married, leaving the unmarried columns crowded with the sickly and unfortunate.”) We may, therefore, infer that sound and good men who out of prudence remain for a time unmarried, do not suffer a high rate of mortality. If the various checks specified in the two last paragraphs, and perhaps others as yet unknown, do not prevent the reckless, the vicious and otherwise inferior members of society from increasing at a quicker rate than the better class of men, the nation will retrograde, as has too often occurred in the history of the world. We must remember that progress is no invariable rule. It is very difficult to say why one civilised nation rises, becomes more powerful, and spreads more widely, than another; or why the same nation progresses more quickly at one time than at another. We can only say that it depends on an increase in the actual number of the population, on the number of men endowed with high intellectual and moral faculties, as well as on their standard of excellence. Corporeal structure appears to have little influence, except so far as vigour of body leads to vigour of mind. It has been urged by several writers that as high intellectual powers are advantageous to a nation, the old Greeks, who stood some grades higher in intellect than any race that has ever existed (26. 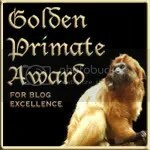 See the ingenious and original argument on this subject by Mr. Galton, ‘Hereditary Genius,’ pp. 340-342. ), ought, if the power of natural selection were real, to have risen still higher in the scale, increased in number, and stocked the whole of Europe. Here we have the tacit assumption, so often made with respect to corporeal structures, that there is some innate tendency towards continued development in mind and body. But development of all kinds depends on many concurrent favourable circumstances. Natural selection acts only tentatively. Individuals and races may have acquired certain indisputable advantages, and yet have perished from failing in other characters. The Greeks may have retrograded from a want of coherence between the many small states, from the small size of their whole country, from the practice of slavery, or from extreme sensuality; for they did not succumb until “they were enervated and corrupt to the very core.” (27. Mr. Greg, ‘Fraser’s Magazine,’ Sept. 1868, p. 357.) The western nations of Europe, who now so immeasurably surpass their former savage progenitors, and stand at the summit of civilisation, owe little or none of their superiority to direct inheritance from the old Greeks, though they owe much to the written works of that wonderful people. Who can positively say why the Spanish nation, so dominant at one time, has been distanced in the race. The awakening of the nations of Europe from the dark ages is a still more perplexing problem. At that early period, as Mr. Galton has remarked, almost all the men of a gentle nature, those given to meditation or culture of the mind, had no refuge except in the bosom of a Church which demanded celibacy (28. ‘Hereditary Genius,’ 1870, pp. 357- 359. The Rev. F.W. Farrar (‘Fraser’s Magazine,’ Aug. 1870, p. 257) advances arguments on the other side. Sir C. Lyell had already (‘Principles of Geology,’ vol. ii. 1868, p. 489), in a striking passage called attention to the evil influence of the Holy Inquisition in having, through selection, lowered the general standard of intelligence in Europe. ); and this could hardly fail to have had a deteriorating influence on each successive generation. During this same period the Holy Inquisition selected with extreme care the freest and boldest men in order to burn or imprison them. In Spain alone some of the best men–those who doubted and questioned, and without doubting there can be no progress–were eliminated during three centuries at the rate of a thousand a year. The evil which the Catholic Church has thus effected is incalculable, though no doubt counterbalanced to a certain, perhaps to a large, extent in other ways; nevertheless, Europe has progressed at an unparalleled rate. The remarkable success of the English as colonists, compared to other European nations, has been ascribed to their “daring and persistent energy”; a result which is well illustrated by comparing the progress of the Canadians of English and French extraction; but who can say how the English gained their energy? There is apparently much truth in the belief that the wonderful progress of the United States, as well as the character of the people, are the results of natural selection; for the more energetic, restless, and courageous men from all parts of Europe have emigrated during the last ten or twelve generations to that great country, and have there succeeded best. (29. Mr. Galton, ‘Macmillan’s Magazine,’ August 1865, p. 325. See also, ‘Nature,’ ‘On Darwinism and National Life,’ Dec. 1869, p. 184.) Looking to the distant future, I do not think that the Rev. Mr. Zincke takes an exaggerated view when he says (30. ‘Last Winter in the United States,’ 1868, p. 29. ): “All other series of events–as that which resulted in the culture of mind in Greece, and that which resulted in the empire of Rome–only appear to have purpose and value when viewed in connection with, or rather as subsidiary to…the great stream of Anglo- Saxon emigration to the west.” Obscure as is the problem of the advance of civilisation, we can at least see that a nation which produced during a lengthened period the greatest number of highly intellectual, energetic, brave, patriotic, and benevolent men, would generally prevail over less favoured nations. The present subject has been treated in so full and admirable a manner by Sir J. Lubbock (32. ‘On the Origin of Civilisation,’ ‘Proceedings of the Ethnological Society,’ Nov. 26, 1867. ), Mr. Tylor, Mr. M’Lennan, and others, that I need here give only the briefest summary of their results. The arguments recently advanced by the Duke of Argyll (33. ‘Primeval Man,’ 1869.) and formerly by Archbishop Whately, in favour of the belief that man came into the world as a civilised being, and that all savages have since undergone degradation, seem to me weak in comparison with those advanced on the other side. Many nations, no doubt, have fallen away in civilisation, and some may have lapsed into utter barbarism, though on this latter head I have met with no evidence. The Fuegians were probably compelled by other conquering hordes to settle in their inhospitable country, and they may have become in consequence somewhat more degraded; but it would be difficult to prove that they have fallen much below the Botocudos, who inhabit the finest parts of Brazil. The evidence that all civilised nations are the descendants of barbarians, consists, on the one side, of clear traces of their former low condition in still-existing customs, beliefs, language, etc. ; and on the other side, of proofs that savages are independently able to raise themselves a few steps in the scale of civilisation, and have actually thus risen. The evidence on the first head is extremely curious, but cannot be here given: I refer to such cases as that of the art of enumeration, which, as Mr. Tylor clearly shews by reference to the words still used in some places, originated in counting the fingers, first of one hand and then of the other, and lastly of the toes. We have traces of this in our own decimal system, and in the Roman numerals, where, after the V, which is supposed to be an abbreviated picture of a human hand, we pass on to VI, etc., when the other hand no doubt was used. So again, “when we speak of three-score and ten, we are counting by the vigesimal system, each score thus ideally made, standing for 20–for ‘one man’ as a Mexican or Carib would put it.” (34. ‘Royal Institution of Great Britain,’ March 15, 1867. Also, ‘Researches into the Early History of Mankind,’ 1865.) According to a large and increasing school of philologists, every language bears the marks of its slow and gradual evolution. So it is with the art of writing, for letters are rudiments of pictorial representations. It is hardly possible to read Mr. M’Lennan’s work (35. ‘Primitive Marriage,’ 1865. See, likewise, an excellent article, evidently by the same author, in the ‘North British Review,’ July 1869. Also, Mr. L.H. Morgan, ‘A Conjectural Solution of the Origin of the Class, System of Relationship,’ in ‘Proc. American Acad. of Sciences,’ vol. vii. Feb. 1868. Prof. Schaaffhausen (‘Anthropolog. Review,’ Oct. 1869, p. 373) remarks on “the vestiges of human sacrifices found both in Homer and the Old Testament.”) and not admit that almost all civilised nations still retain traces of such rude habits as the forcible capture of wives. What ancient nation, as the same author asks, can be named that was originally monogamous? The primitive idea of justice, as shewn by the law of battle and other customs of which vestiges still remain, was likewise most rude. Many existing superstitions are the remnants of former false religious beliefs. The highest form of religion– the grand idea of God hating sin and loving righteousness–was unknown during primeval times. *These Etexts Prepared By Hundreds of Volunteers and Donations* Information on contacting Project Gutenberg to get Etexts, and further information is included below. We need your donations. Project Gutenberg Etexts are usually created from multiple editions, all of which are in the Public Domain in the United States, unless a copyright notice is included. Therefore, we usually do NOT keep these books in compliance with any particular paper edition. We produce about two million dollars for each hour we work. The fifty hours is one conservative estimate for how long it we take to get any etext selected, entered, proofread, edited, copyright searched and analyzed, the copyright letters written, etc. This projected audience is one hundred million readers. If our value per text is nominally estimated at one dollar then we produce $2 million dollars per hour this year as we release thirty-six text files per month, or 432 more Etexts in 1999 for a total of 2000+. If these reach just 10% of the computerized population, then the total should reach over 200 billion Etexts given away this year. The Goal of Project Gutenberg is to Give Away One Trillion Etext Files by the December 31, 2001. [10,000 x 100,000,000=Trillion] This is ten thousand titles each to one hundred million readers, which is only ~5% of the present number of computer users. At our revised rates of production, we will reach only one-third of that goal by the end of 2001, or about 3,333 Etexts unless we manage to get some real funding; currently our funding is mostly from Michael Hart’s salary at Carnegie-Mellon University, and an assortment of sporadic gifts; this salary is only good for a few more years, so we are looking for something to replace it, as we don’t want Project Gutenberg to be so dependent on one person. All donations should be made to “Project Gutenberg/CMU”: and are tax deductible to the extent allowable by law. (CMU = Carnegie-Mellon University). When all other email fails try our Executive Director: Michael S. Hart <hart@pobox.com> We would prefer to send you this information by email. Why is this “Small Print!” statement here? You know: lawyers. They tell us you might sue us if there is something wrong with your copy of this etext, even if you got it for free from someone other than us, and even if what’s wrong is not our fault. So, among other things, this “Small Print!” statement disclaims most of our liability to you. It also tells you how you can distribute copies of this etext if you want to. By using or reading any part of this PROJECT GUTENBERG-tm etext, you indicate that you understand, agree to and accept this “Small Print!” statement. If you do not, you can receive a refund of the money (if any) you paid for this etext by sending a request within 30 days of receiving it to the person you got it from. If you received this etext on a physical medium (such as a disk), you must return it with your request. This PROJECT GUTENBERG-tm etext, like most PROJECT GUTENBERG-tm etexts, is a “public domain” work distributed by Professor Michael S. Hart through the Project Gutenberg Association at Carnegie-Mellon University (the “Project”). Among other things, this means that no one owns a United States copyright on or for this work, so the Project (and you!) can copy and distribute it in the United States without permission and without paying copyright royalties. Special rules, set forth below, apply if you wish to copy and distribute this etext under the Project’s “PROJECT GUTENBERG” trademark. To create these etexts, the Project expends considerable efforts to identify, transcribe and proofread public domain works. Despite these efforts, the Project’s etexts and any medium they may be on may contain “Defects.” Among other things, Defects may take the form of incomplete, inaccurate or corrupt data, transcription errors, a copyright or other intellectual property infringement, a defective or damaged disk or other etext medium, a computer virus, or computer codes that damage or cannot be read by your equipment. But for the “Right of Replacement or Refund” described below,  the Project (and any other party you may receive this etext from as a PROJECT GUTENBERG-tm etext) disclaims all liability to you for damages, costs and expenses, including legal fees, and  YOU HAVE NO REMEDIES FOR NEGLIGENCE OR UNDER STRICT LIABILITY, OR FOR BREACH OF WARRANTY OR CONTRACT, INCLUDING BUT NOT LIMITED TO INDIRECT, CONSEQUENTIAL, PUNITIVE OR INCIDENTAL DAMAGES, EVEN IF YOU GIVE NOTICE OF THE POSSIBILITY OF SUCH DAMAGES. THIS ETEXT IS OTHERWISE PROVIDED TO YOU “AS-IS”. NO OTHER WARRANTIES OF ANY KIND, EXPRESS OR IMPLIED, ARE MADE TO YOU AS TO THE ETEXT OR ANY MEDIUM IT MAY BE ON, INCLUDING BUT NOT LIMITED TO WARRANTIES OF MERCHANTABILITY OR FITNESS FOR A PARTICULAR PURPOSE. Honor the etext refund and replacement provisions of this “Small Print!” statement. Pay a trademark license fee to the Project of 20% of the net profits you derive calculated using the method you already use to calculate your applicable taxes. If you don’t derive profits, no royalty is due. Royalties are payable to “Project Gutenberg Association/Carnegie-Mellon University” within the 60 days following each date you prepare (or were legally required to prepare) your annual (or equivalent periodic) tax return. You are currently browsing the archives for the Charles Darwin category.